A building just as important for BMW as for the enthusiasts who enjoy spending more time than usual in automobile showrooms. The latest BMW Brand Store is in Brussels and on one of the city’s most fashionable streets – the elegant Boulevard de Waterloo. Here Fellert has made possible a unique environment – a true performance solution where design and sound absorption interplay without compromise. The performance assignment for BMW included two solutions. In part a ceiling installation with Fellert Even Better Silk, our smoothest and most elegant surface finish. The result here was just as striking as it was suggestive – white, seamless and smooth ceilings that slowly and tastefully undulate through the premises. Moreover a 16,700 sq ft rough concrete-like surface (fully in keeping with the customer’s wishes) was created on both the ceilings and walls. Both of the surfaces also provide acoustical environments that emanate performance down to the smallest detail. As an example, an intimate conversation can be held without being disturbed when the premises are full of people. Staff members also avoid problems in the form of fatigue, headaches and difficulties in concentration, which often occur in environments with poorer or no acoustical solutions at all. The letter M has long been associated with Bavarian extreme performance – the question now is whether or not F as in Fellert has also achieved this enviable status. Share "BMW Brand Store" with your friends! Client with tough demands? Boss with a big ego? No problem. Presentations that make your job simpler are just a click away. Below you’ll find the most important documents for technical data, standards, construction and ordering. Read them on your screen or download for future reference. 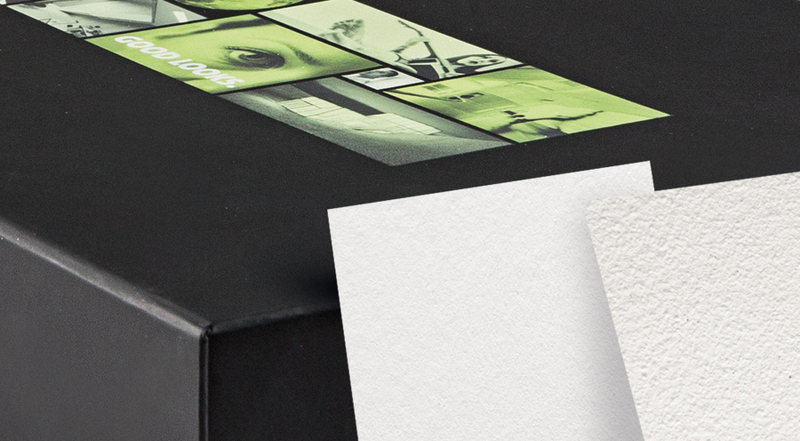 Your standard Fellert sample box is usually only a few days away, and never more than a week. If you want a specific color for your project, it can take a little longer. Free of charge of course. Order here!